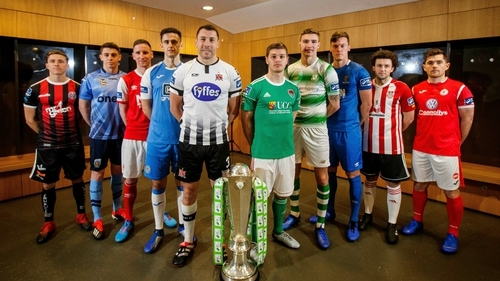 RTÉ Sport today confirmed a revamped coverage of the SSE Airtricity League, with Friday Night Soccer kicking it off this Friday night on RTÉ2 and RTÉ Player as the 2019 SSE Airtricity League gets underway. In the first of 18 live games this season across the SSE Airtricity League and Irish Daily Mail FAI Cup, Peter Collins will have live coverage as champions Dundalk start their Premier Division title defence against Sligo Rovers at Oriel Park at 7.45pm. The progamme begins at 7:30pm. He will be joined by Stuey Byrne and Richie Sadlier with George Hamilton and Pat Fenlon on commentary. Soccer Republic returns for the new season next Monday (18 February, 7.30pm, RTÉ2 & RTÉ Player) with all the weekend’s goals plus the best of the rest of the action from the first round of games and reaction from managers and players. Also this year, the RTÉ Soccer Podcast presented by Adrian Eames and Tony O'Donoghue will bring fans all the latest in Irish soccer - from the international sides to the Airtricity League - with big name interviews and analysis from RTÉ's leading pundits. RTÉ Group Head of Sport Declan McBennett said: "The new, enhanced Friday Night Soccer live SSE Airtricity League coverage on RTÉ2 and RTÉ Player demonstrates RTÉ's continued commitment to Irish soccer with 18 live games throughout the season in a new 7.30pm to 10.30pm time slot. "In addition to the live game, Friday Night Soccer will bring fans and viewers all the rest of the night's goals, action and reaction while Soccer Republic will return at 7.30pm on Monday evenings."